The first thing you need to do is select the file(s) you want to convert. 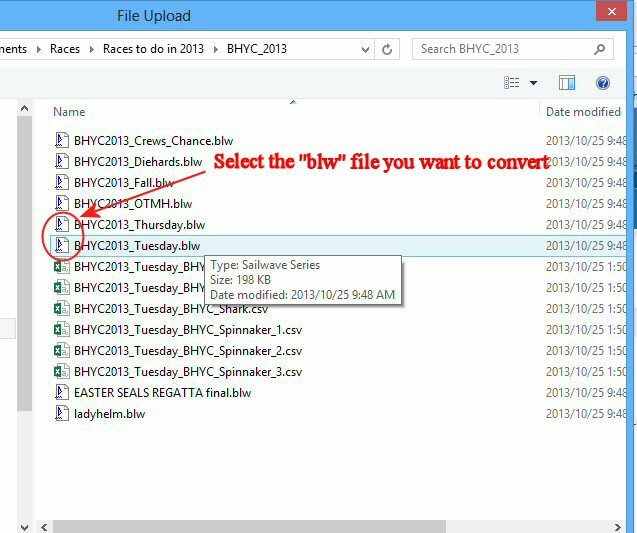 Once you have located the folder on your computer that contains your Sailwave blw files, you can select one file at a time to convert. 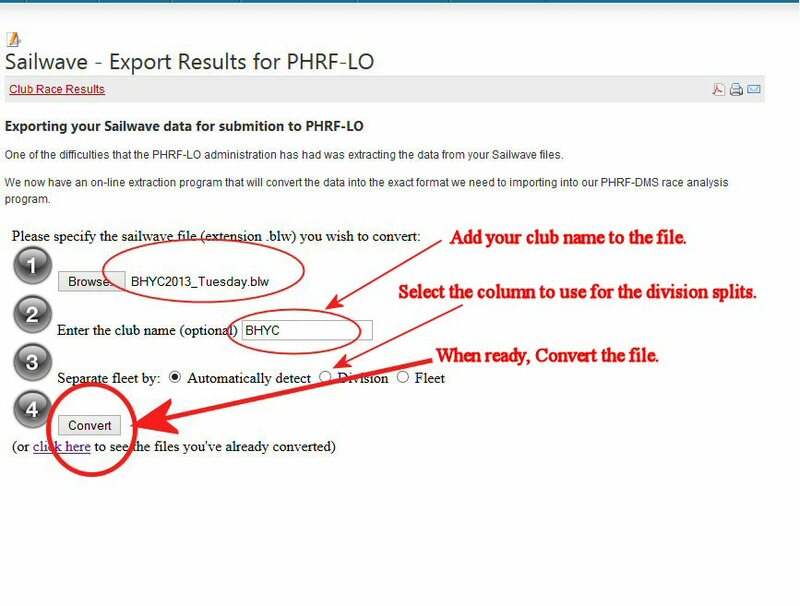 Once selected, then you have optional fields to help the converter identify and separate your club & divisions. Once you have all the fields completed and you are ready. Just click on the "Convert" button. You will be presented with a list of files that have been converted. NOTE: the club and division specified above are added to the file name. You can now go back and select more files (see bottom of screen "Click here to upload more files") or download the converted files to your computer. 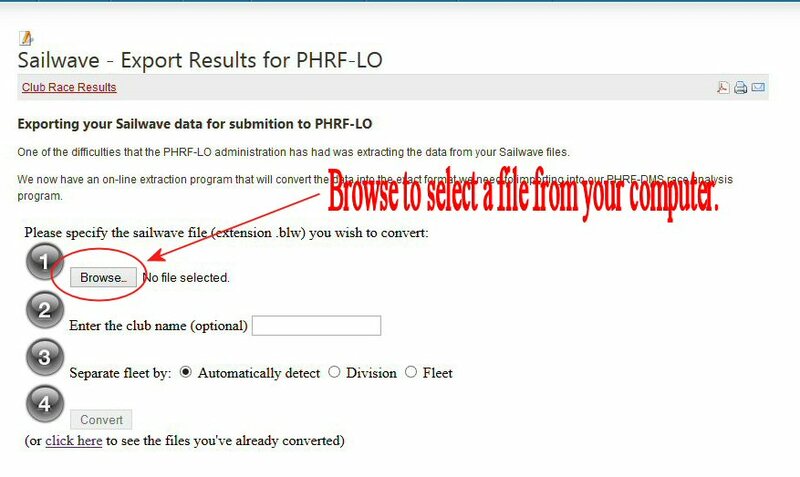 NOTE: You cannot send the files directly to PHRF-LO via this site, you must attach the converted files to an email and send them.